JLo just posted the cutest picture of her daughter Emme on Instagram! 10-year old daughter of singer Jennifer Lopez wore this stunning Dolce & Gabbana Girls Rosetto Floral Silk Mini Me Dress before her mom’s concert at Planet Hollywood in Las Vegas on September 29, 2018. 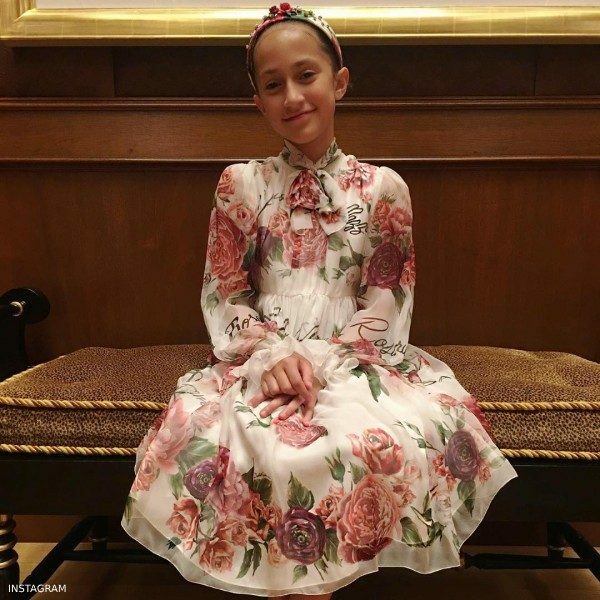 Emme looked like a little princess posing for the camera wearing a gorgeous elegant silk-blend dress by luxury brand Dolce & Gabbana, made in ivory crêpe with a pink rose print. It has silky viscose lining, sheer chiffon sleeves and a chiffon bow on the front. 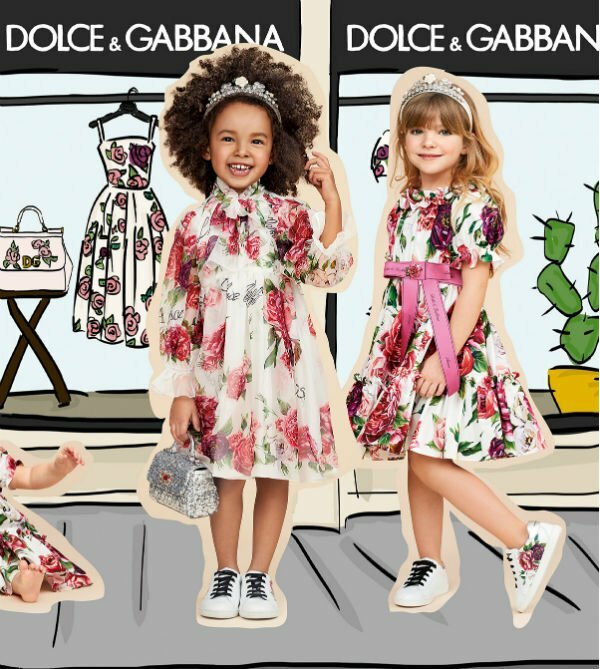 This gorgeous mini-me dress is from the new D&G FW18-19 Collection and inspired by the Dolce & Gabbana Women’s Rosetto Collection. Emme completed the look with a pair of matching Dolce & Gabbana Rosetto print sandals and jeweled hairband. Simply gorgeous! Unfortunately, this Dolce Gabbana Girls Rosetto Floral Silk Mini Me Dress is not currently available. You can shop similar Dolce & Gabbana Girls clothes from the current collection online.